With no chlorides, to ensure perfect solubility, low salinity and very high quality for maximum yields in all crops. It is ideally combined with Amino 16 to maximise crop yields. 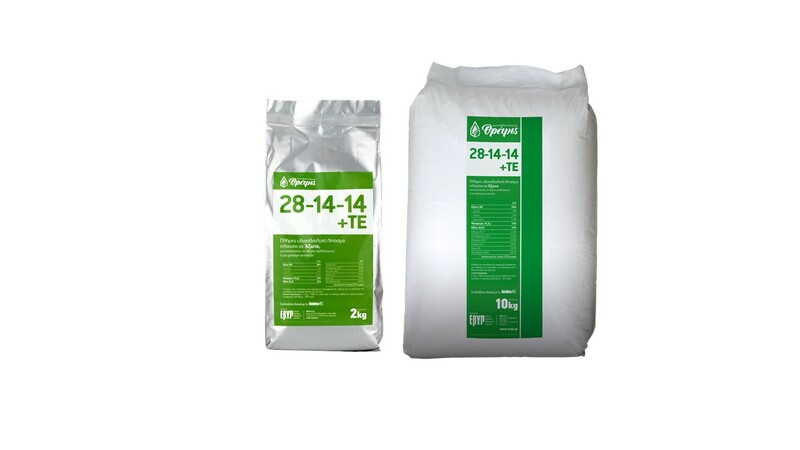 Complete nitrogen-rich water-soluble fertiliser for crops with high Nitrogen requirements or for quick development. General dosage: 2-4 kg / 1000 m2 through the irrigation system (water-borne applications) or foliar applications of 200-500 gr / 100 It water. Melon, watermelon: Foliar 200-300 gr / 100 It water. Or 1-2 kg / 1000 m2 along with the irrigation system. Vineyard: Foliar 300-500 gr / 100 It water or 2-4 kg / 1000 m2 through the irrigation system.